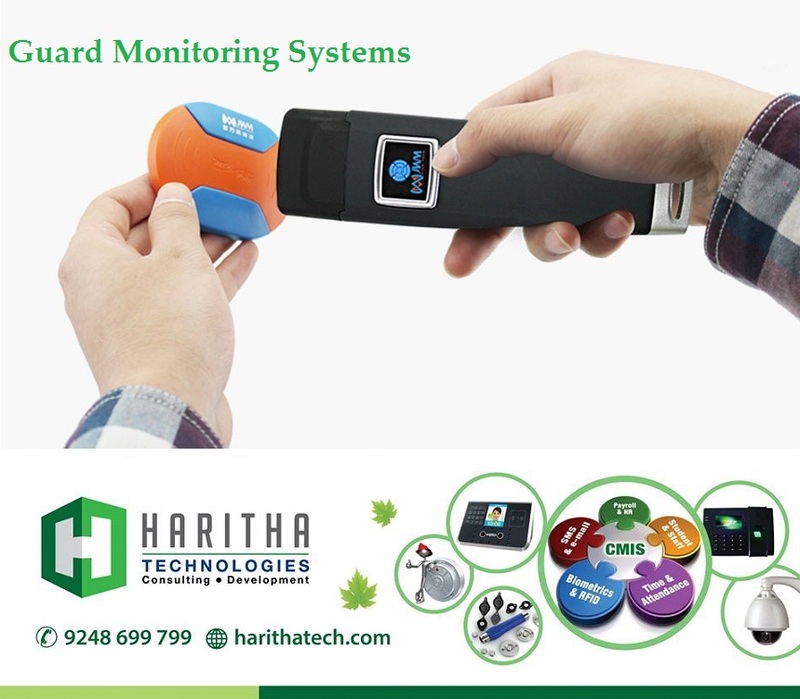 Guard Tour System or the Guard Monitoring System or the Guard Patrol System are one and the same.The Guard Tour/Patrol System utilizes RFID technology making it extremely robust and very easy to use. The rugged construction of the Baton means that it is a durable device for use in most environmental conditions. The Software package that compliments the Guard Tour/Patrol System is uncomplicated in its application and provides a complete working solution for all aspects of Security Guard patrolling. Guard Tour System can be used as a security feature to protect patrolling guards in vulnerable locations or to check that guards are doing their security patrols by ensuring that they reach particular areas at specific times. We are the NO.1 Supplier of Guard Tour systems or Guard Monitoring systems in Hyderabad ,Telangana and even in Andhra Pradesh.We are the suppliers of Guard Monitoring systems for Indian Army ,many gated Communities in Hyderabad .We have supplied for major industries like Vasanth Chemicals,ITC and many more. The advantages of this system could also be used for other applications including Asset Management and for generating maintenance and inspection records for service Engineers. The malicious damage won’t be happened. Magnetic cable design. The speed of communication rise greatly. Show IP67. Raw material layers of screening, let you get the most stability system. Four color LED combines with vibration. Easy and convenient. That can deal with every situation. Let users be unable to put down. Vanguard 5 chooses high-capacity battery and low　power consumption design. That guarantees the super　endurance.